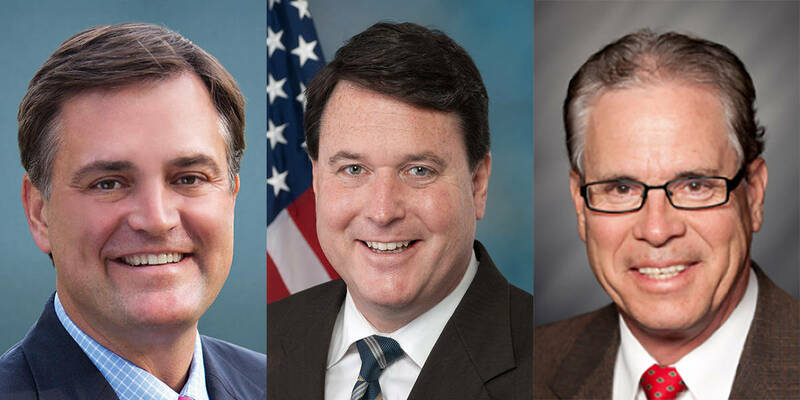 INDIANAPOLIS (AP) — The election on Tuesday, May 8, in Indiana will mark an end to a nasty U.S. Senate primary, where three Republicans, Todd Rokita, Luke Messer and Mike Braun, vie for a chance to unseat what many consider a vulnerable Democratic incumbent in U.S. Sen. Joe Donnelly. Democrats, meanwhile, have shown reinvigorated signs of life and hope that energy translates into a “blue wave” in November that will help them retake two congressional districts where they’ve lost control in recent years. Republicans in the conservative state are trying to continue their dominance in the Legislature and in congressional races, including one in which Greg Pence, brother of Vice President Mike Pence, is the front runner among five Republicans for an open seat. Polls are open from 6 a.m. until 6 p.m. Voters are reminded to bring photo I.D.